See scan – perfect condition. This is a nice and very rare most likely French or German 17th Century antique sun dial compass with many engravings and digits all made with niello. An important piece to all nautical collectors as well as to watch and timepiece collectors. 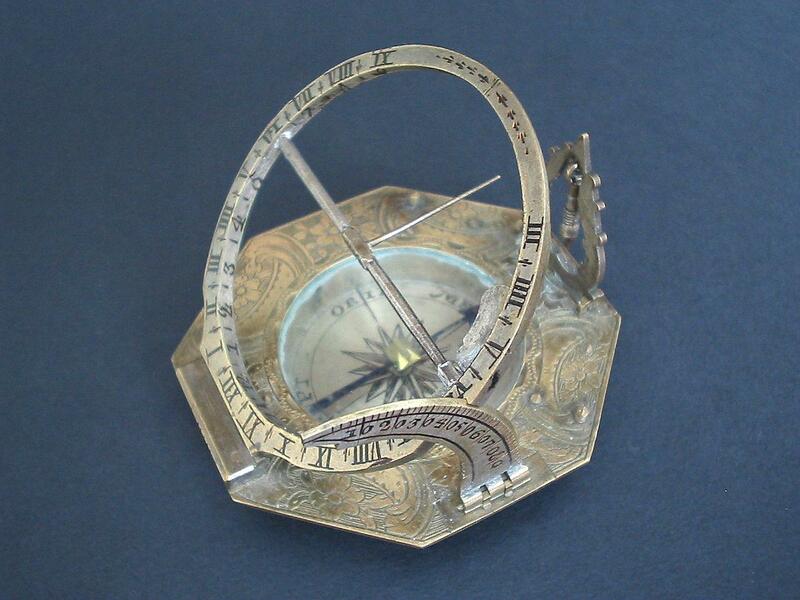 The sundial compass is in perfect condition and working order with crisp clear inside where the magnetic arrow is and overall pristine condition. The piece is maker’s marked at underneath base all done in nice black niello and the maker’s name appears to be L. Grass. 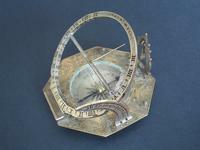 This portable nautical / NAVY sun dial compass is a fantastic antique ship memorabilia and usually fetches high prices at auctions worldwide. Great display. The case is not the genuine case of the piece but is a perfect and close later 19c. match. Absolutely scarce military / nautical and navy ship collector piece and one of the rare genuine antique sun dial compasses used by marine and ship captains and officers.